You can make it through this difficult journey For many people, a family law case will be one of the most difficult experiences in their life. We'll help you through it. 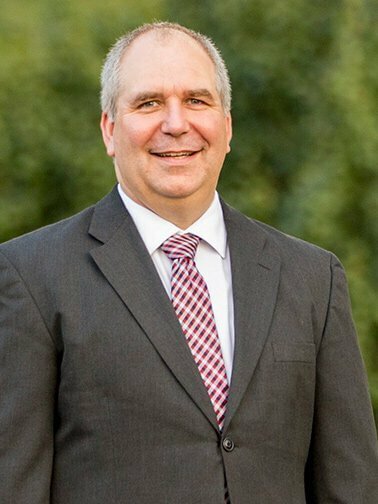 Attorney Ken McRae has been practicing law for more than 20 years and has handled family law cases, real estate contracts, wills and estates, personal injury cases, and criminal matters. From serving on a panel of attorneys helping low-income individuals to serving as a judge pro tem, Ken's experience has prepared him for trying cases, arguing motions, appearing in mediation, and negotiating settlements. He will closely evaluate your case to determine the right approach for your unique needs. Our priority is to achieve the best possible outcome for your case. The best way to do this is to find a solution that works for everyone. Sometimes, people may not want to cooperate during a family law case. Even if you’re looking to settle on peaceful terms, your ex-spouse may not be willing to do the same. Rather than assuming that your case will have to go to trial, we will do everything we can to reach a mutual agreement that benefits all parties. This strategy can help avoid more conflict and allow both you and your ex-spouse to walk away on the best terms possible. When that approach simply won’t work, our team isn’t afraid to take your case to court. In the early stages, we will work with you to understand both sides. If a settlement is impossible, we will develop a powerful approach to the trial process and we will defend your needs as aggressively as is needed. No matter which way your case pans out, our team is here to protect your best interests and provide emotional support. No matter what, you aren’t alone. Estate planning allows you to plan for your family and your assets in the event that something happens to you. A will or trust can provide for an orderly and efficient distribution of your property, according to your terms. We’ve practiced family law in Kansas since 1996. We’ll use our experience to your advantage during your case. The first step in any case is a consultation. You can schedule a free, 30-45 minute consultation with our team, where we’ll sit down with you and get to know you. This step is crucial, as it allows us to understand your unique needs and start thinking of a strategy that will work best for your family. This phase also lets you determine whether or not you feel comfortable working with us. Next, we will strategize with you. Whenever possible, we will seek a settlement that pleases all parties. If you or the parties aren’t looking to settle, we’re also willing to take your case all the way to court. No matter which approach we decide on, we will reach that decision together. At every point along the way, we will carefully listen to and consider your preferences. Attorney Ken McRae has practiced law in Kansas since 1996. Our office in Overland Park is easily accessible by many communities in east Kansas, including Lenexa, Leawood, Olathe, Shawnee, Mission, Kansas City, Stilwell, Gardner, Spring Hill, Roeland Park, and more. We’ve tried cases and reached settlements in Kansas for years, and we will do the same for you.